In order to ensure the longevity of your vehicle, you should follow the recommended Chrysler, Dodge, Jeep, and RAM maintenance schedule intervals provided to you by the manufacturer. From oil changes to tire replacements and rotations, following the recommended vehicle maintenance schedule will help your vehicle last longer and eliminate your need for costly repairs and replacements. Whether you simply commute through Wilsonville or you experience off-road adventures near Sherwood, it’s important to follow the following maintenance schedule. No matter if you are driving a Dodge, Chrysler, Jeep, or RAM model, the vehicle maintenance schedule is the same for all. If you should notice anything wrong with your vehicle before any of these maintenance intervals, have it inspected by a trusted technician at Wilsonville Jeep Ram. 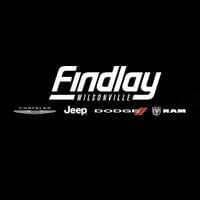 Wilsonville Jeep RAM service center can provide your new or used vehicle with necessary service in a timely fashion. Visit us today to learn more about the services offered in the Salem or Woodburn areas, or take advantage of our express lane for things like oil changes.